I decided to write a Fitbit surge review from my experiences of using Fitbit watches. Hope, by the end of this article, you will understand every single thing of ​this watch. 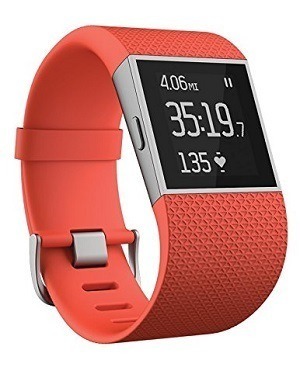 T﻿﻿﻿he Fitbit Watch a present generation fitness watch. This has introduced to the general public that time, style and fitness tracking can be performed by a single device. From the smartphone notification to heart rate monitor- what is not present here? 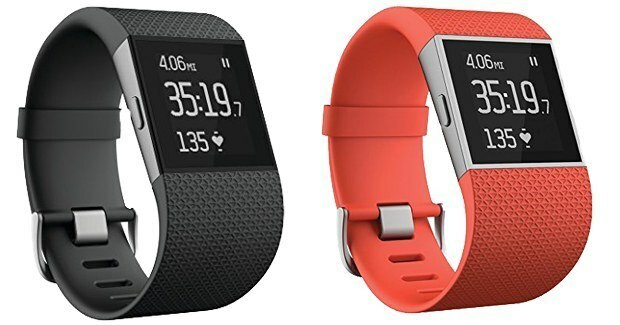 Fitbit surge has firstly introduced in 2014. Since then now on it has gone through so many development processes. A lot has changed since it was first announced. Fitbit Versa is out now ! !, Click here to read whole review about fitbit versa. Watch is a combination of fashion and necessity. Not everyone of this world wear watches. But a watch can increase your confidence. By the blessings of technology, we are using smart watches now. You can track about everything by these smartwatches now a day. Fitbit is a company which is worldly popular for manufacturing smartwatches. There is no hard and quality competitor against them currently in the marketplace. They have a variety of watches with some categories. One of those categories is Fitbit Surge. These watches are not that expensive. If you have 150 to 500 dollars, you can easily afford one. The main thing depends on you. That is, whether you want an expensive or a cheaper Fitbit Surge. 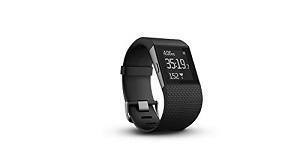 Surge Fitbit is the combination of step counter, sleep tracker, and GPS running watch. Yes, these three features make an ideal Fitbit surge watch. So, let’s dig deeper. The first feature that I want to discuss this Fitbit Surge is its built-in GPS system. It’s not the fastest GPS system in the world, but effective enough to get your job done. At the time of running, it will take 50 to 60 seconds to lock onto a signal. The result is 90% times accurate. I am saying that because while I was testing its GPS, approximately 1 out of 10 times, it showed me my location at my neighbor’s house. It’s not a big deal though, as I have faced similar experience sometimes with the famous GPS android apps. Fitbit GPS system is not the best one, but it’s reliable enough. It does not provide you hectic result all the time. So, I am giving 4 stars to this feature. Like most of the other fitness watch, the surge Fitbit comes with a built-in heart rate monitor. I am pretty satisfied with this monitor. Especially, the accurate result of this Fitbit heart rate device. But yeah, you should not expect medical-grade heart monitoring accuracy from this Fitbit watch. Go here to get more exciting review about Fitbit. The surge Fitbit has vastly worked on its sleep tracking sensor. Well, I have noticed it shows me almost 99% accurate result most of the time. I love the way how it can detect my sleeping duration while I am sleeping. In the previous watches of Fitbit, the results were bullshitted. I can remember, once wearing a Fitbit watch, I slept for 8 hours. But, it showed me, I had slept for only two hours. But now, I always try to fool this watch, but I always fail. It somehow detects whether I am sleeping or not. I don’t know what the hell they have used to upgrade the sensor. Luckily, I am not an engineer. The Fitbit app is a lot better than it was back in 2012. I love the calorie-counting feature of this app as I am a bulky guy. Fitbit is full of results and nutritional data now a day. Heck yeah! They have developed the database way better than it was used to be before. There is another cool thing about this Fitbit surge is it automatically syncs to computers and tablets. But to make this happen all you need is an internet connection in the both device. The syncing range is 20 feet. This is the US version of Fitbit Surge. This surge watch automatically syncs with any type of device which has Bluetooth 4.0 wireless technology. WorkoutGadget can be your perfect place to find unlimited Smartwatch review. You will always get a continuous and accurate heart rate from this device. You can track your workout pros and cons as well as your workout summaries with the help of this​. As I am writing a Fitbit surge review so I should mention all the advantages and disadvantages of these watches. Let’s know why this U.S edition is special and popular. It’s tiny in size. I think that is why it's easy to wear and carry. This is one of the main reasons why people like it. On the other hand, it can monitor your sleeping time very accurately. This is another reason behind its popularity. What’s cool about this watch is you can see who is calling on your phone and text from this device. You can even control the music playlist of your set from this Fi​tness watch. Such a thing is, I got to know that Fitbit surge’s battery is one of the best watch batteries. Personally I love this incredible watch for many good reasons. As in, this battery life lasts up to 7 days. The GPS battery life lasts up to 10 years. It’s mention-able that the power of battery decreases as the time goes. Obviously, this is a fact for all types of fitness watch that available in the markets. Okay, let’s be a bit practical while writing this Fitbit surge review. This one is under 300 dollars watch. So, anybody can afford this watch, if they have a little bit money from a month of expenses. There are so many people who always like to talk about Fitbit blaze vs surge. But, I don’t want to discuss this matter here as it’s a large thing to compare. I have to explain side by side to demonstrate a war between Fitbit blaze vs surge. Take a look here to compare both. Hope, I will be able to write another article on this topic in the near future. But for now, let’s take a look at the Fitbit fitness super watch. This watch was released in December 2014. This is really super shock consuming watch. I am a heavy user of fitness watch. As in, when I don’t wear the watch or untie it, I just throw it on the table. Sometimes, it gets banged on the wall. But, even after doing so, I haven’t seen any single scratch on my super watch.​ I've also reviewed Garmin Forerunner 735XT, you may ​read review here. You can get all the messages and phone call alert of your cell phone by this device as it uses Bluetooth technology. It also provides a long-lasting battery life which is up to 7 days and the GPS battery life works up to 10 hours. Pretty good!!! It automatically tracks your sleeping time and duration. You don’t have set or press the extra key for doing it so. You can get a pure and authentic result of your sleeping time by this ​watch. The display is on all the time. The display is basically an LED display on a black background. The silent alarm of this watch is very much powerful. Let me tell you what, I don’t use my cell phone’s alarm to wake myself up. I simply set it on my Fitbit Surge. This one is really high to wake me up, but it does not vibrate that much. If this is a problem, you can set the time for several times. This will solve your problem. Heart-bit monitor is pretty accurate. You can track the calories you lose in a day as well as the distance you walk through this watch. You can turn your text message and incoming call of your phone on this device. You can’t receive this call but you can see that who is calling you. You can track hiking, running, weightlifting, elliptical and plain workout by this ​fitness watch. There is a common question that I am asked frequently when it comes to Fitbit Surge. Is ​it waterproof? Then answer is, yes. Most of the Fitbit surge watches are waterproof. At least, the three watches which I have mentioned here are waterproof. Charging cable of a Fitbit surge is a very important part. 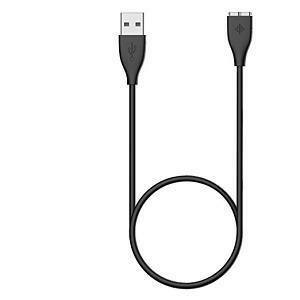 This charging cable can be plugged into USB port. These chargers are ideal for traveling. The weight of this product is less than 1 ounce and it is easy to carry. You can carry this charger to your office as well. The design of this charging cable is pretty good and slim. By spending less than 15 dollars you can be an owner of this product. ​So, That was about Fitbit Surge review. Hope this review will guide you to choose Fitbit brand product's.